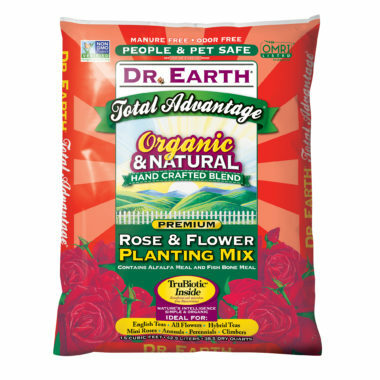 Total Advantage® Rose and Flower Planting Mix promotes blooms in all flowering plants: roses, trees, shrubs, annuals. Total Advantage® is great for many projects in the garden. It can be used as an amendment for planting trees, shrubs, bare root planting, flowers & vegetables.